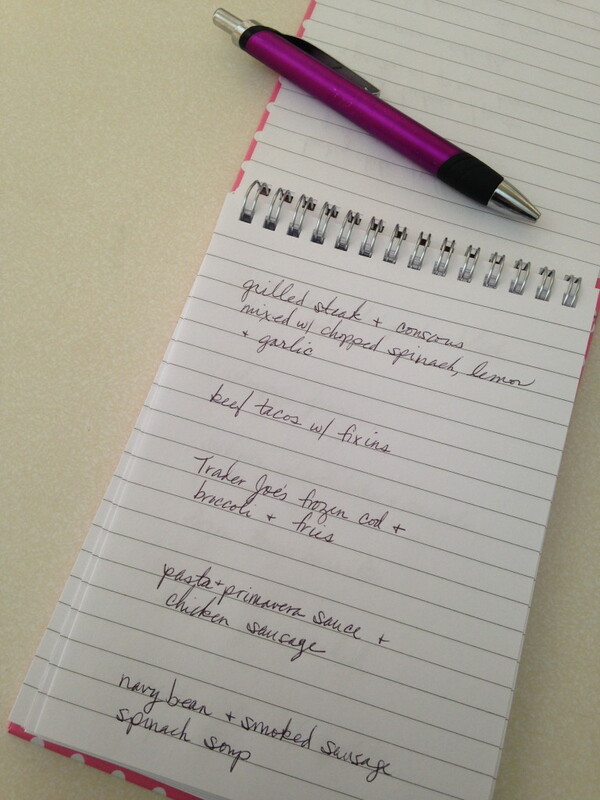 Nothing fancy…just a little notebook where you write down the dinners that your family has enjoyed. I bought my notebook at Michaels for $1.50, and I use it to record everything from the simplest meals to the most complex (meals made for guests, special birthday dinners, etc). Whenever I’m wondering what to make for dinner, I just flip through the notebook to get inspiration from what we’ve liked in the past and what we haven’t had in a while. I keep it in a kitchen drawer with a pen so I can quickly jot down any new favorites as soon as we’re done eating; otherwise I know I’ll forget. As a bonus, it can serve as a time capsule of sorts, sure to provide endless entertainment when the kids are grown. I can picture my girls paging through it in their 30s, saying, “Remember how we use to eat KALE?” and then dissolving into hysterical laughter. By then kale will probably be named as the cause of 56 horrible diseases and we’ll all be eating things like tree bark, lizard eggs, and freeze-dried dirt. 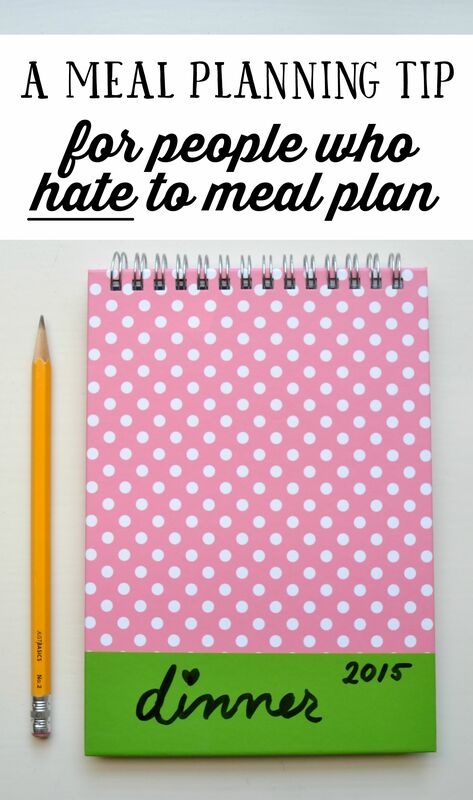 I know the concept of meal-planning can be daunting for some (myself included), but this is a quick and easy thing that anyone can do to make sure you never forget your family’s favorite dinners. 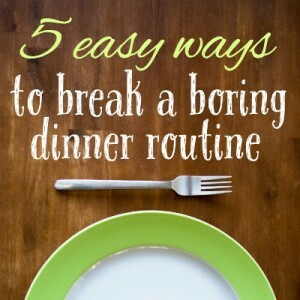 AND…once you’ve built up a list of, say, 10 dinners that everyone liked, you can use it to create two Monday-Friday meal plans that you just repeat every two weeks. I don’t think I’ll ever be the type to create a weekly grocery list and plan out every single thing I’ll need for a given week, but I do like having a loosely structured plan for the dinners we’re going to eat during the week. 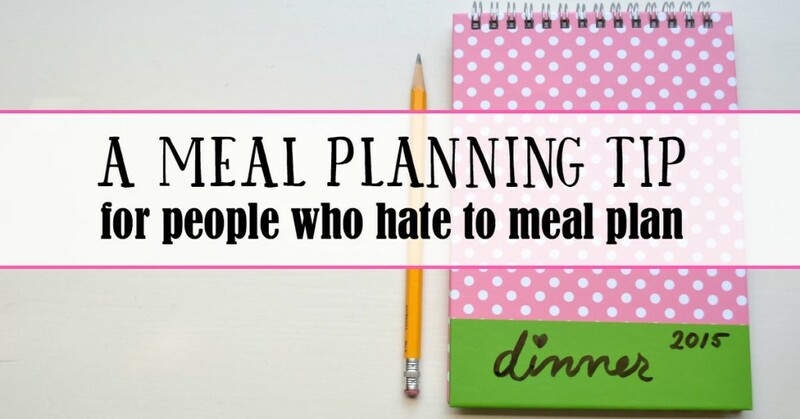 My little dinner diary has me helped tremendously, and hopefully it’ll help you, too! Lyss, I love this idea! Yes! 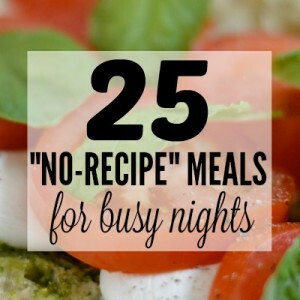 Please share some of these recipes! I’m always needing new ideas. I will! I’m always looking for new ideas too. 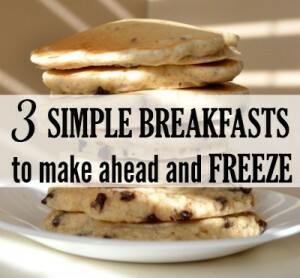 It seems like it should be easy with a zillion recipes all over the internet, but it’s hard to find those “winners” that the whole family likes.